Madeline Finn does NOT like to read. But she DOES want a gold star from her teacher. But, stars are for good readers. Stars are for understanding words, and for saying them out loud. 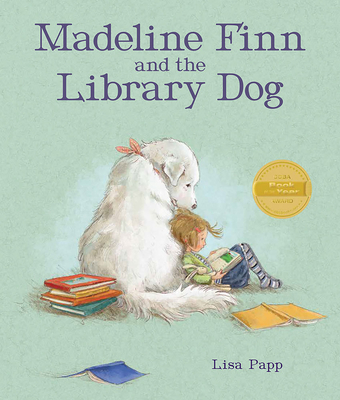 Fortunately, Madeline Finn meets Bonnie, a library dog. Reading out loud to Bonnie isn't so bad; when Madeline Finn gets stuck, Bonnie doesn't mind. As it turns out, it's fun to read when you're not afraid of making mistakes. Bonnie teaches Madeline Finn that it's okay to go slow. And to keep trying.